Ever since we started working with our client, Science Gallery London, earlier this year, we’ve been intrigued by the gallery’s inspirational MOUTHY season of oral-themed events. And what better way to immerse ourselves in our client’s world than to attend the MOUTHY season finale: Rumination on Mastication – an oral-themed dinner held at London’s Borough Market. 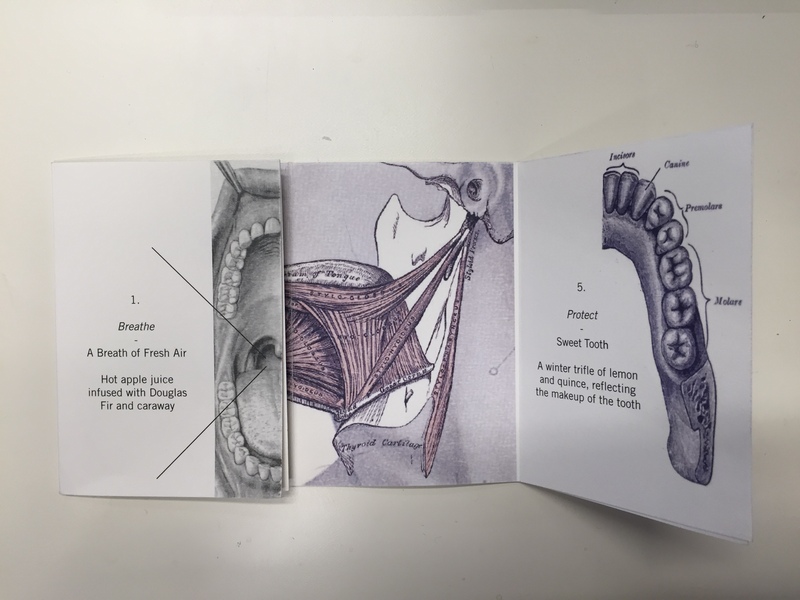 On a cold November night, we were treated to a five-course menu created by visual artist, Victoria Shennan, in collaboration with food designers Blanch & Shock and the Dental Institute at King’s College London. 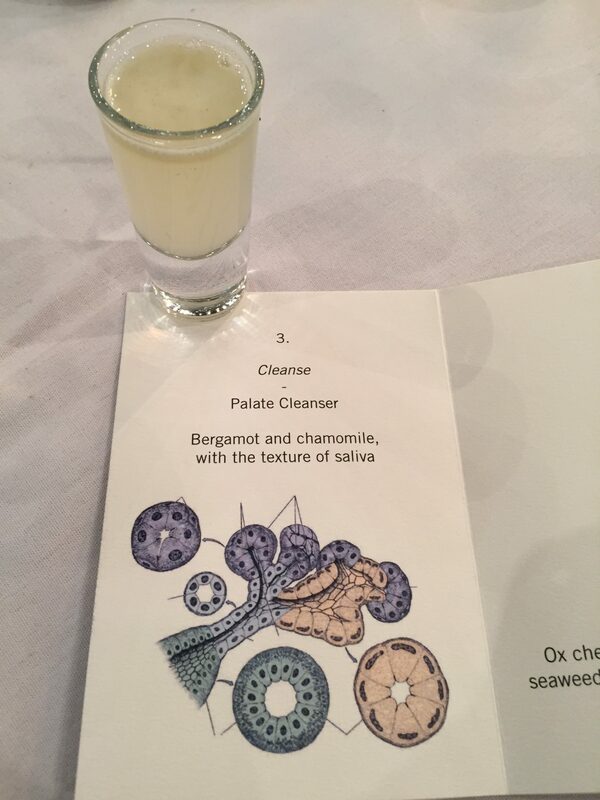 The menu was designed as an education in all things oral, so the dishes were created to present our palates with a variety of tastes, covering sweet, sour, bitter, salty and umami. We ate parts of the body associated with the mouth: ox tongue and cheek, and pork jowl. And we were served a saliva-textured palate cleanser, as well as a trifle; structured to reflect the makeup of the tooth, which we ‘decayed’ with a syringe full of brandy. Meanwhile, envelopes on the table, matched with each themed course (breathe, taste, cleanse, chew and protect) revealed ‘unpalatable facts’ to the diners. Sometimes companies, brands and even cultural institutions convey their essence to their customer or audience best when they do it through experiences rather than words. This was a wonderful example of how to successfully promote Science Gallery London as a place where science and art (in this case, culinary art) collide. MOUTHY is one of several themed pre-opening seasons aimed at building engagement amongst Science Gallery London’s target audience, ahead of its 2018 opening. The MOUTHY season saw the creation of a crystal formed from human spit and, amongst other things, the holding of a performance lecture based around the science of snogging.